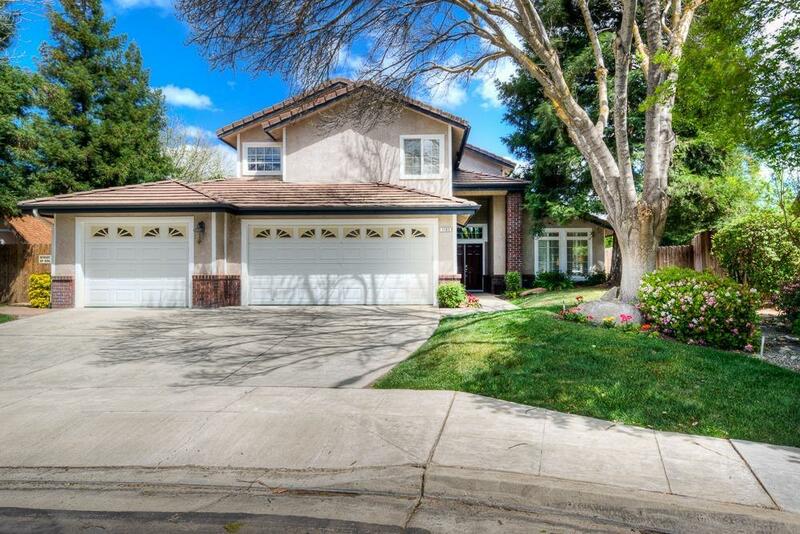 BEAUTIFUL TWO Story Home Located in a LARGE cul de sac lot with RV access, POOL and SPA. THREE Car Garage. 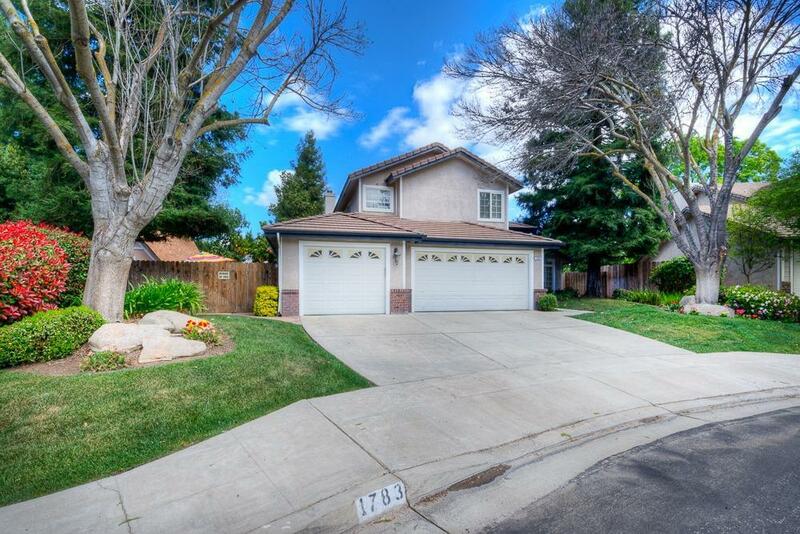 Home is IMMACULATE, LAMINATE flooring throughout, FORMAL LIVING AND DINING with Vaulted Ceilings. LARGE Kitchen with STAINLESS appliances, BREAKFAST BAR, TILE FLOORING and TILE Counter Tops with AMPLE space for Dining table. FAMILY room with Fireplace and and built-ins. One Bedroom is downstairs with Bath and other bedrooms including MASTER upstairs. Master has FLEX space with built-ins for Office.Master bath with jetted tub and Shower and VERY large CLOSET and STORAGE. Beautiful BACKYARD with pebble tec pool with waterfall, in ground spa. Large Covered PATIO, Grassy area for Entertaining. Out Building has extra space to get away BUT is sold as is, no warranties implied. 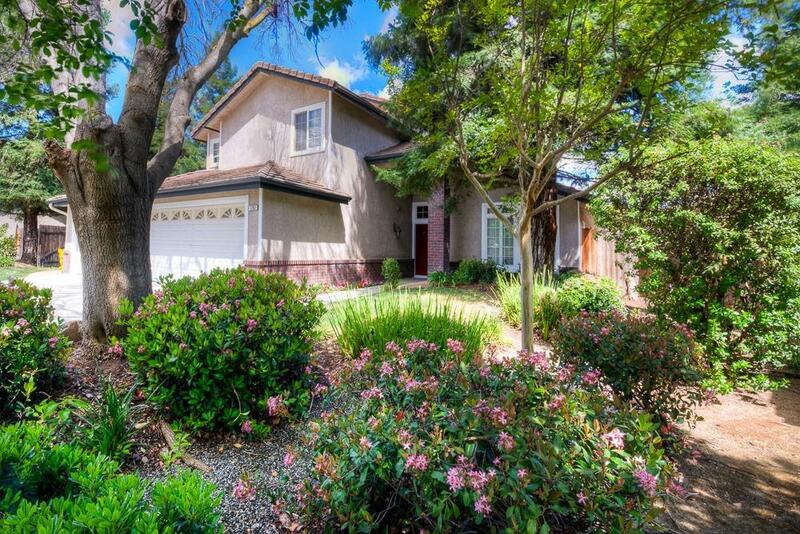 Solar Leased, 2 years old, $185.00 per month with Sun Run.THIS HOME is a great Family home and located in CLOVIS Unified.The Sale of this HOME is Contingent on Seller finding replacement property.